Other solo living dreams are more practical - I would love to wake up in the morning to the smell of coffee by having a coffee machine by the bed, I'd have a TV in the bedroom so I could watch the news/YouTube while getting dressed - with all the lights on!! Being a couple that compromises we do have white bedding now (finally) but I'd love to add an accent of flower print or bright colours, alas this is a step too far for Mr P! Of course I wouldn't give him up in exchange for these things BUT if I can't talk about my love for frivolous items like this in my corner of the internet what is the point of having a blog? Some of these ideas I have created within our spare room - turning it into a little girlie haven with cute lights, ornaments and books - it's just a shame that it ends up being a dumping ground for all things meaning it often is an unsable space...time to tackle that today before Mr P returns so I can keep the girlie sanctuary going. Hope you all have a space you can escape to within your home....or am I alone in coveting an area that is all mine? Well hello there (if anyone is there...) it's been a mighty long time since I blogged here at Louloudorset and I'm not entirely sure why. Partly life got very busy with the usual work and life demands, but I think mainly I just fell out of love with blogging. I didn't have anything I particularly wanted to say. And I definitely developed a strange obsession with YouTube (I do love a good "What's in my bag" video!) For a while now I've been thinking about my teeny tiny corner of the internet and thinking could I start again? Refreshed and with a new motivation could I start blogging about things I feel passionate about again? And if I did, what would those things be? I am a 38 year old woman who is very happily married, obsessed with her cat and infertile. Not in a gut wrenching depressive wailing way, in a it's just part of our life now way. Most of the time I feel incredibly blessed; I have an amazing husband, a great job, lovely friends and I get to sleep in on weekends. Occasionally I feel angry about it. And on a few instances, out of the blue, I have had a 5 minute emotional meltdown, that goes as quickly as it arrives. I am not jealous of friends who are on the parenting journey but overjoyed for them, especially when some have faced struggles themselves. So who am I now? I love Filofax planners, am on my first month of a capsule wardrobe challenge (which I am loving by the way) am more than partial to a glass (bottle) of Prosecco or Rose and I am always at some stage of fitness kick/healthy eating regime/totally fallen of the wagon and eating all the cake scenario! With a passion for handbags, scarves and all things fashion when it comes to classic style updates I'm just your average woman trying to find a foundation that not only matches your skintone but also makes you look 10 years younger and can be applied at 6.30am while half asleep but still last all day! I guess what I'm trying to say is that the bit I find hard is that there don't appear to be many other women like me out there, or at least I've not managed to find ones that are open and writing about it on the internet. As an avid blog reader I follow a lot of fashion blogs; Fashion Mum of 40, Does My Bum Look 40, and My Midlife Fashion are 3 of my favourites but all of these ladies are mums. Now obviously there's nothing wrong with this and the majority of what they write about is fashion related which I'm totally on board with. It just got me thinking, surely there must be other child free women out there flanneling on on the internet, and if not, why not? So maybe (in a very long winded way) what I'm saying is that there could be a niche for someone like me to have a lifestyle blog that covers the alternative reality of being happy without a posse of children in tow. I know I'd love to find some more ladies like me so if I jump first maybe I'll find them? We've just been enjoying our final Bank Holiday of the season - you know, the one in the UK that marks the end of the halcyon period where we have several all in quick succession and then a long barren stretch until the end of August...yep that one! And Mr P and I have been enjoying a very chilled weekend - well we have had a hectic few weeks - we also have a week and half holiday coming up in mid June to look forward too as well..loving life right now! This weekend also for me seems to mark the start of Summer, even if the weather here isn't really co-operating!! It got me thinking as well how I've picked up a few pieces recently aiming to inject a shot of colour into my wardrobe. If you've read my blog for a while, or know me in real life my colour palette, especially in winter tends to focus on neutral colours like black, grey and white. Maybe a shot of navy every now and again...but in the simmer once I get a hint of colour on my skin I embrace a bit more colour! In this vein I thought I'd share some of my recent purchases! I'm totally in love with this piece, it brightens up my plain t's and shirts adding a summery pop of colour and goes exceptionally well with denim! 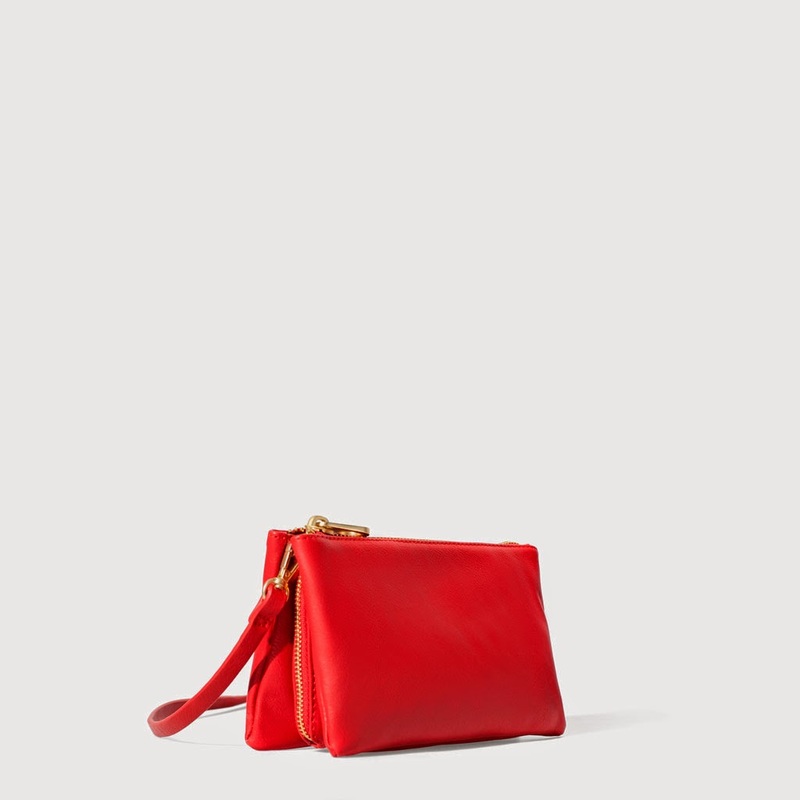 My husband did much eye rolling when I spotted this beauty in the Zara opposite Harrods during our visit to London last week - me I thought this was a) just the right shade of red b) the perfect summer crossbody size (room for phone/keys/lipgloss and money!!) c) a far more affordable version of the Celine bag but different enough to be clearly an inspired by not a blatant copy! This vest is the perfect style - loose and swingy but not too flowy (no-one wants the vest that makes you look pregnant look going on now do we!! ), it's the perfect shade of coral to inject some lovely summery passion into the wardrobe with my key denim staples..and worn under my black jersey blazer or a cardigan just adds that pop of colour! Did I mention it was uber cheap too?? So it's been a long gap.....again.....I'm sure I say this more often than my own name but where is this year going??? As we lurch towards the end of May I'm writing this enjoying a blissful Sunday night on the sofa catching up on Blacklist - if you don't want this you need to start if only for James Spader - love him! Anyway here it's a sweeter Sunday night than normal as we have a bank holiday Monday tomorrow - and unlike the last May bank holiday a few weeks ago I don't have to work this one huzzah!! Shame the weather isn't co-operating!! I also managed a cheeky pitstop in Selfridges beauty hall and treated myself to the most perfect small red crossbody bag - overall a ruddy lovely few days!! Anyway now the warmer weather is upon us I'm trying to reevaluate the wardrobe and work out what's work appropriate for the wet but warm season we seem to be in!! Driving a lot, assisting some students in their marketing project work and attending a networking event to gain inspiration for myself! Today I was chauffeured by the DH to Bath, a fair old drive from our seaside abode (2 hours each way no less!) as I'd driven to and from Alton Towers for work this week he kindly volunteered to drive me to this beautiful spa town as I'd booked myself on a Red Magazine networking event all about getting yourself published. I'm one of those people who feels like there could be a novel (or at least a half decent short story) knocking about in my head but I need to try and work out how I develop that train of narrative into a cohesive structure. Enter a panel session with 3 women at the top of their fields - author, agent and publisher. It was a great event followed by an afternoon enjoying the sunshine pottering around the city - pretty much a perfect day!! So what's coming up this week? More work travel (I'm certainly giving my car a workout at the moment! ), attending the reveal of Weymouth BID's marketing plan and vision, a leaving do to attend and the ever exciting contact lens check up on Saturday - I'm sure it's the lighter evenings that means I have more inclination to leave the house and actually get outdoors!! Long may this current sunny spell continue please weather gods!! So since getting married in September I've been slowly but surely working my way through the gigantic list of things I needed to change my name on - from my driving license, bank cards, work documents, email addresses the list is never ending! One of the most costly (and complicated!!) is the changing of the passport! Handily mine was due for renewal in November this year so I needed to update it anyway - 4 forms later (LONG story involving out of date forms(!) coffee and day dates in month columns!) I finally had the Post Office confirmation and off it went - roughly 3 weeks and I should have my new passport with shocking photo back and ready to start planning some trips!! I finally made it out of my hometown and on to visit my bestie Mrs L and my goddaughters with their Christmas presents - we were both so frantic pre Christmas and with the floods/weather/storms etc since we've not managed to meet up but finally we did on Saturday afternoon! It was lovely to see them and now I've managed to see them I'm all enthused to get out and about more. It is so easy when the winter sets in to hibernate in our little seaside abode but I really need to get out more and catch up with my lovely friends before they forget who I am!! Despite a couple of days where the sun peeked out the overall week has again been wet and miserable here in the UK. I am so bored of dodging puddles on my way into work and coming home covered in mud....surely it must be time for either Spring or at least a cold dry snap?? Earlier in the week we paid an unplanned but very delicious trip to our local Nandos, Mr P finally got the new style loyalty card (we still have a whole chicken on the old one to eat on our next visit too!) and I remember just why the Piri piri chips are so darned good - it may be a type of fast food but man is it yum!! The week ahead has another bestie's birthday, the promise of dinner out and the lure of planning a weekend to Bath soon so it should be a good one! Hope you are all looking forward to the week ahead! 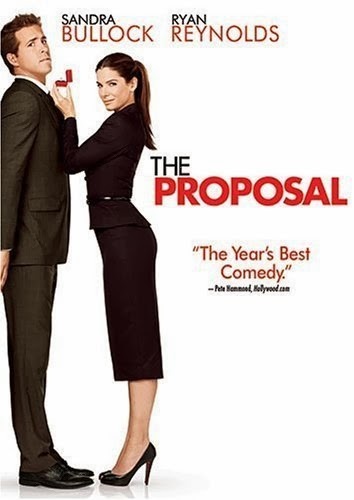 I do love a good romcom and in my humble opinion Sandra Bullock is the queen of the genre, I mean just look at her back catalogue...2 Weeks Notice, Miss Congeniality, While You Were Sleeping and my absolute favourite The Proposal! If you haven't seen this movie I urge you to check it out NOW! I love everything about this movie, the characters, the male lead - hello Ryan Reynolds!! The cast also includes the fabulous ex Golden Girl Betty White and the glorious Mary Steenburgen who I simply adore and should be in every movie if possible!! Anyway the plot of this movie focuses on a high flying publishing exec (Sandra) and her assistant (Ryan) and when her work visa expires needs to secure her citizenship so decides to marry her assistant whether he wants to or not (a promotion may just have swung the deal!!) Anyway long story short they end up at his home in Alaska and guess what....they fall in love! Everyone say aaah. The neatly tailored perfect black suit and those gorgeous shoes! I'm shallow we know this (see previous posts!!) This 50's style coat all full skirt and nipped in belted waist is just perfection - especially with that Hermes bag on her arm and the statement sunnies! And the bag in this shot below - hello perfect slouchy leather buttery tan gorgeousness....it makes me want to dig through my bag collection and see if I can't find that perfect one (even though I know it isn't there.....shopping alert time!) I'm all about the accessories they just escalate a plain outfit into something awesome! Of course there are moments where a perfect little black suit just won't cut it and this comfy colourful sweater + scarf is a pretty ensemble that screams co-ordinated casual! Hurrah for hump day hope you are all having a good week! !